A little while ago, I noticed that I often go very safe in terms of fabric choices. For some reason I never go with the bold prints and colours (with the exception of bright red, I guess) and usually grab all the plain colours, especially navy blue. 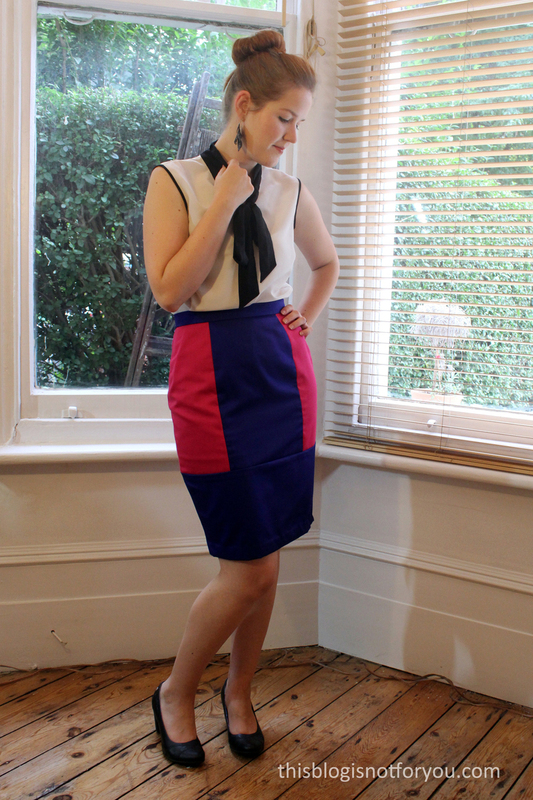 Since the Hepburn Skirt is perfect for colour-blocking, I decided to go with bolder colours, the ones that I didn’t have in my wardrobe yet but could see myself wearing. Well, here you can see the result! 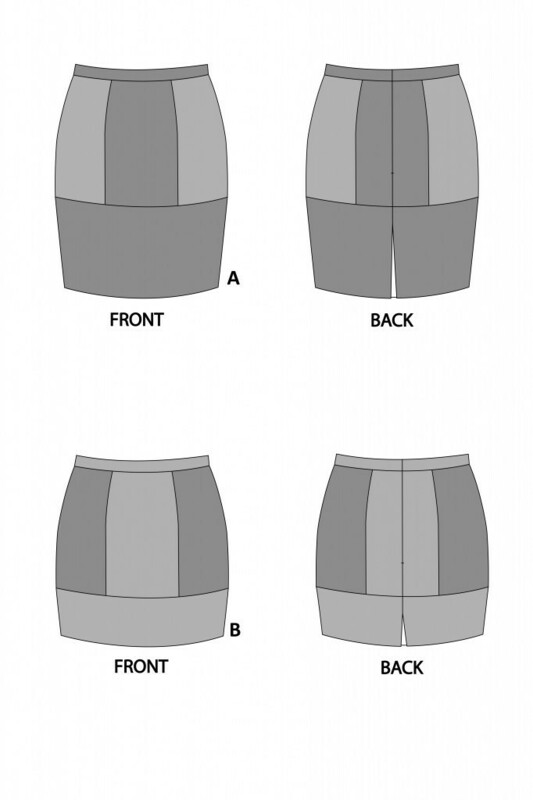 I made the knee-length variation of the Hepburn Skirt and chose to use a different for the front and back side panels. I used bright pink and royal blue cotton drill fabric which I got for £3.50/m on Goldhawk Road. Quite a bargain, considering that I needed less than a metre for the size 10 version of the skirt. I cut out two complete skirts in both colours and just swapped the side panel pieces. I haven’t finished the second skirt, pink with blue side panels, but for that one I will go with the thigh high length. 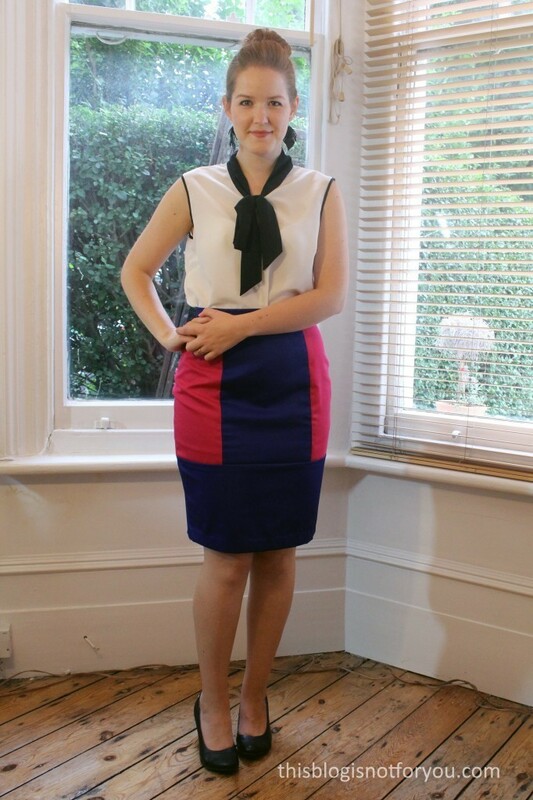 I paired the skirt with my sleeveless Lottie Blouse, a perfect combination for work. I still have to figure out which tops go together with these bright colours and for the time being black and white seems to be the best option. Both variations of the skirt have a vent in the back which makes walking much more comfortable. The pattern includes instructions on two different techniques to sew a vent. Of course you can also skip the vent and wiggle around Marilyn-style. The skirt comes together quite quickly, it took just a few hours. I always hand-stitch waistband, vent and hem which took longer than sewing the skirt. 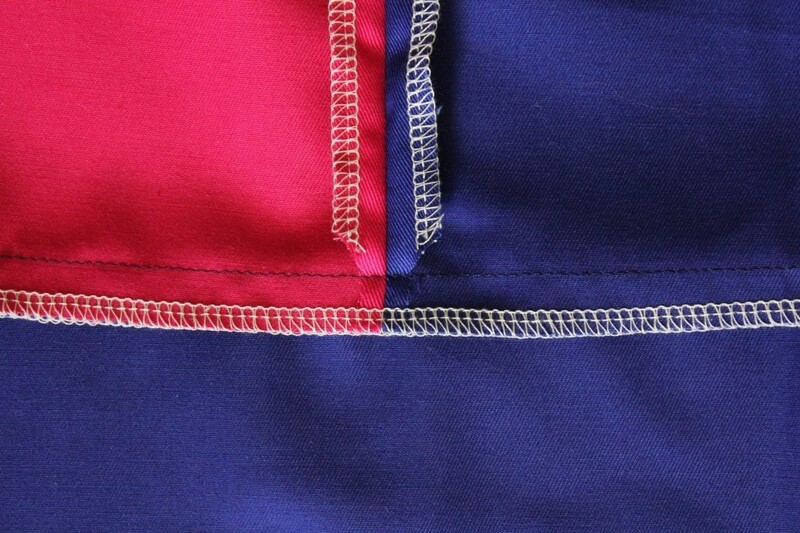 Inserting the invisible zipper is probably the most complicated part of sewing the skirt. I think a beginner could totally tackle this pattern. I recommend using medium to heavy-weight fabric. The cotton drill was perfect for the skirt. They had loads of different colours on Goldhawk Road. I probably will pay them a visit again some time soon to pick up more. 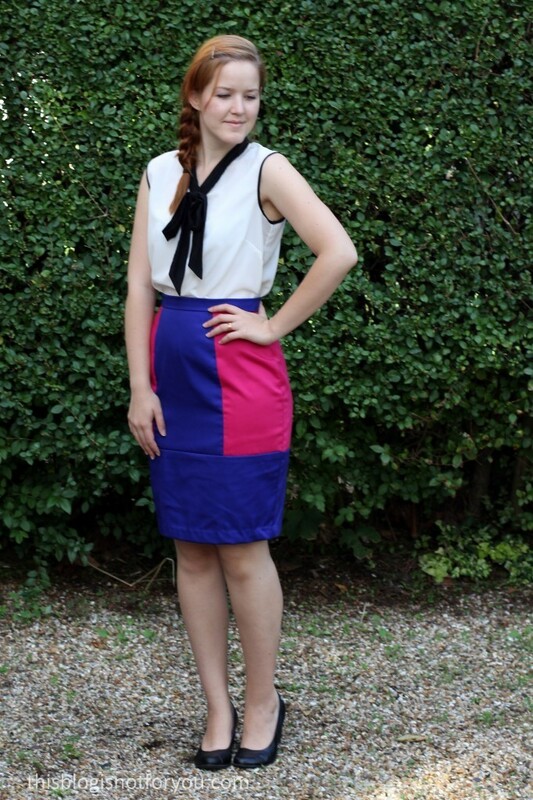 I finished all seams with my new overlocker – such a bliss! I actually now enjoy overlocking more than sewing. Is this normal? (The seams acutally do not pucker at all, I have no idea why they look so awful in the picture above!) 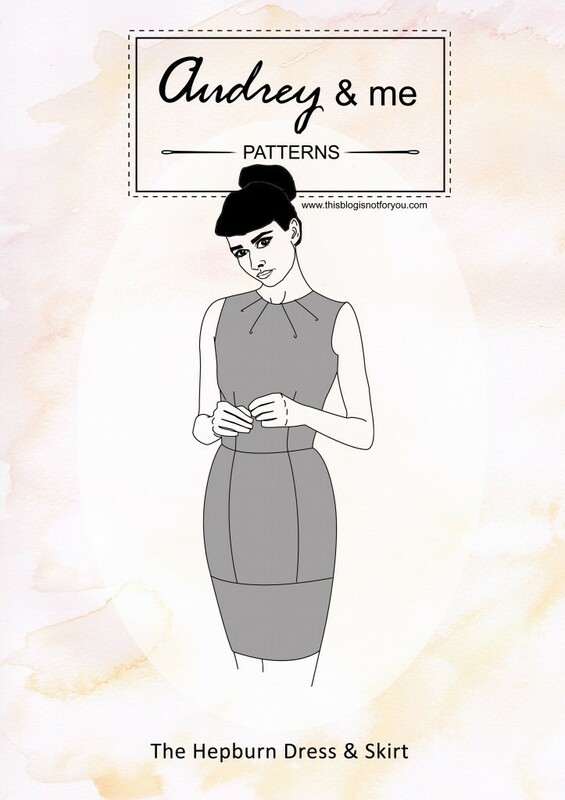 At the moment I am also working on the fitted Hepburn dress variation which combines both skirt and dress patterns. 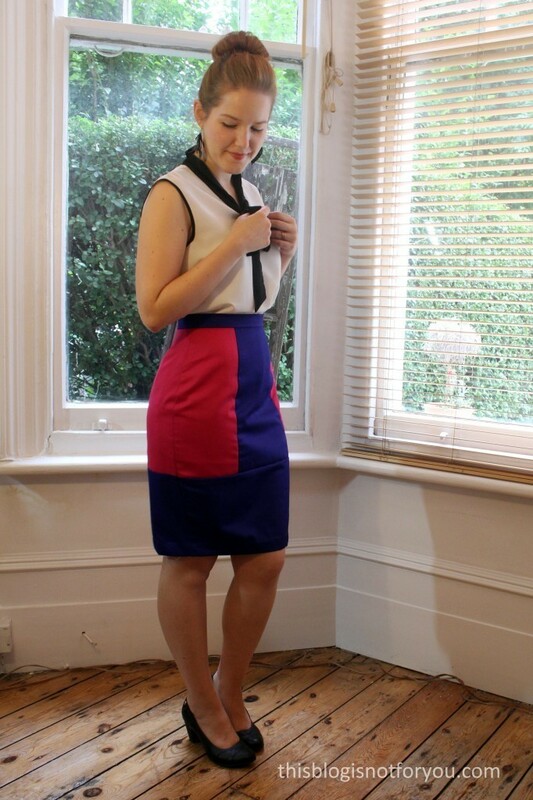 I will make a knee-length version in a plain colour and at least one mini dress that is colour-blocked. I already picked up all the fabrics a couple of weeks ago and can’t wait to finish the dresses as soon as possible. 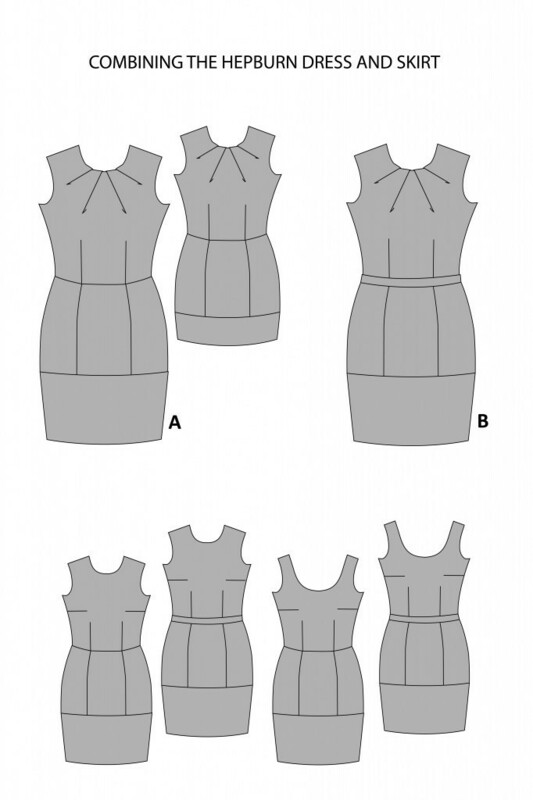 The dress itself comes with many different variations, but (as you can see in the figure below) when combining both patterns the possibilities are endless. Both patterns are available on the audrey & me patterns page now. If you’d like to get both patterns, you can get them in a bundle at a reduced price (yay!). There’s lots of skirts and dresses, color blocked with a darker color on the hips, supposedly to make the hips look smaller I guess. I can’t wait to see the second skirt now! I personally love the colors you’ve chosen. Yes, I think is had a slimming effect. I’m working on the second skirt at them moment. When I make the combined dress version I will also definitely use the darker colour for the side panels!